Newport, Rhode Island is a great place for a day trip or a weekend vacation. The small streets and the old colourful houses blend well together, in a way that you almost feel like you are in Europe. There are plenty of things to do during day and night, fun places to see and history to enjoy. 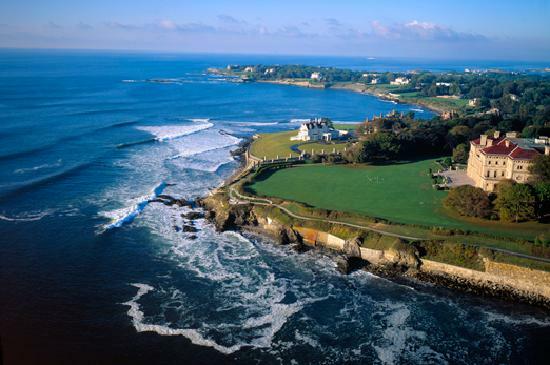 Keep reading this article to know more about how you can visit the Newport, Rhode Island. When you arrive in downtown Newport, you can start by going to Memorial BLVD way; take a right on Bellevue Ave and then another right to Williams Street. Use a map to follow these directions. You can find plenty of parking on the side of the street for free. Most of the other streets around town require a resident permit, or public parking fee. You can then walk back up to Bellevue way to the International Tennis Hall of Fame; view the beautiful grass courts where you can enjoy playing a game. Also, you can enjoy touring the museum and grounds, enjoying popular memorabilia of tennis champions from past and present. Take a trolley, tour bus or walk down Bellevue ave to view the amazing mansions. You can purchase a premium tour ticket and view the Breakers, the Elms and Marble House on the Newport's Mansions. There are 11 historic properties in total, filled with history, inspiring architecture, art, interior design and landscape. Rosecliff has been used in filming movies such as the Great Gatsby, True Lies and Amistad. Check out the Mansion Tour operating schedule and plan your visit. One place, not part of the Mansion Tours, that you can also visit is Belcourt Castle which is full of medieval elegance and ghosts. Do not forget to take out your camera. When you travel to Newport, you will find bustling unique boutiques, galleries and stores. There are galleries that sell original artworks; hundreds of years old. You can find something more affordable at one of the more modern galleries that are full of original art pieces with plenty of pieces priced below $100. In Newport, Rhode Island, your dining options are plentiful. The only hard part is deciding where to eat. If you enjoy Clam Chowder, do not miss the Black Pearl Restaurant, where people travel from around the world for the "Best Clam Chowder Anywhere". Afterwards, head over to Cold Fusion Gelato whose owner has featured on Food Network during Giada's Weekend Getaways. A walk along Thames Street will bring you many other great food options. For beautiful scenery outside the town of Newport and the Mansions, enjoy a ten mile drive along Ocean Ave, for several scenic beaches and spectacular ocean views. Spots to stop and enjoy include King's Beach, Brenton State Park and the Inn at Castle Hill built in 1874. Along the drive, you will see many more mansions and castle-like estates.